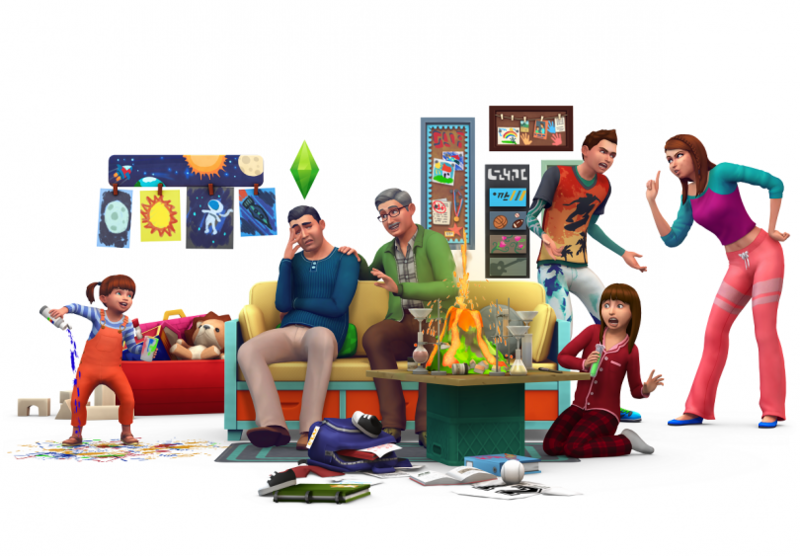 Top Ten Packs You Need In The Sims 4! The Sims 4 has been around for over 4 years and we have seen a fair share of good and bad packs for the game but today we are going into ten packs you need in The Sims 4. 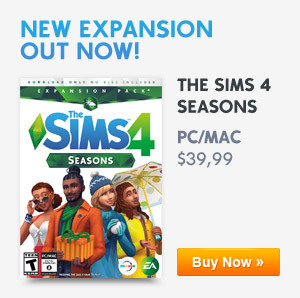 To start of this list we have the second expansion pack for The Sims 4. This pack is in the top ten because of all the new activities and features it has to offer, from the beautiful European inspired world of Windenburg all the way to Djing in a popular nightclub. 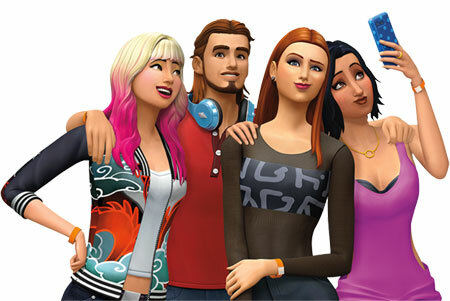 This pack has so much to offer for all you new Simmers, not to mention you can even create the plastics by creating your own clubs or if you are just lazy like me you can join a club that is already made. The club system is what made this pack one of my all-time favorites. There are also new traits, skills and more for you to discover as you play with this pack. At number nine we have one of the fan favorites “The Sims 4 Dine Out”. From creating your own wonderful restaurants all the way to taking your Sims significant other to a romantic themed restaurant, This pack has so much to offer for all you business loving players and even for all you Build & Buy mode lovers. From new wonderful objects. 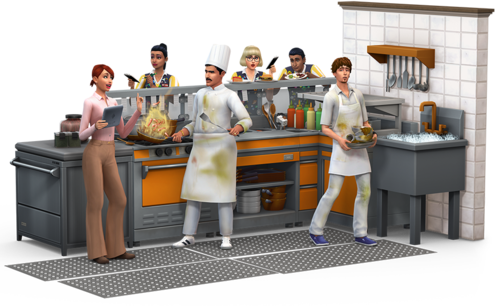 outfits, foods and interactions, you would be missing out on all the fun of running your own restaurants. 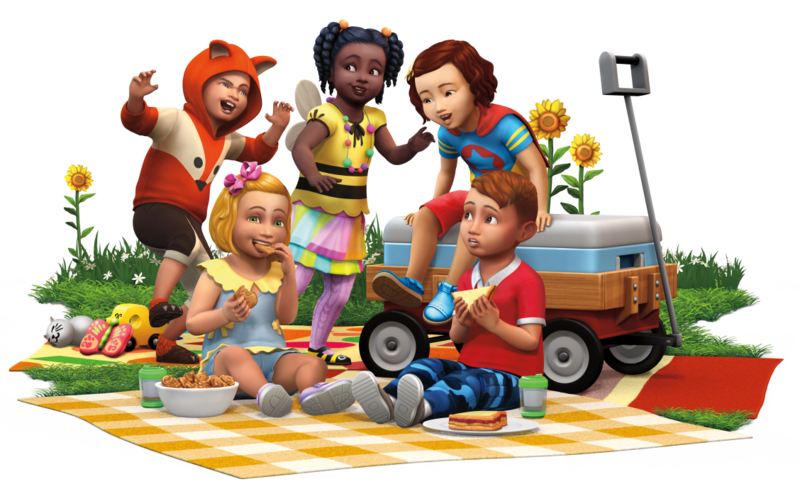 At the number eight spot, we have the wonderful “The Sims 4 Backyard Stuff”. From the new activities and decorations to personalizing your Sims backyards even more, this pack offers new gameplay objects for your Sims to try out. From the new Bird feeder all the way to the new waterslides. This pack is a must-have for your games. 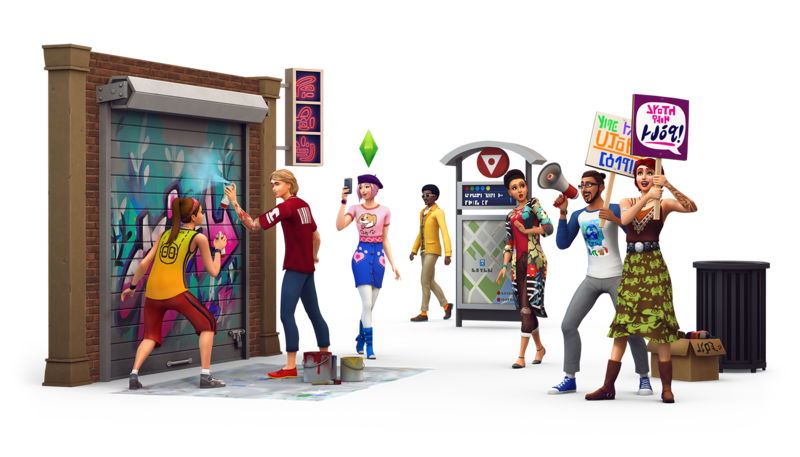 At the number seven spot, we have another fan favorite pack “The Sims 4 City Living”. This pack has so many new features. gameplay and even Build & Buy mode items for all of you to try out. Not only that there is a brand new world for all of you to discover and even two new very fun jobs for you to try out. Your Sims can also now live in apartments and penthouses that are run with new lot traits that can benefit your sims lives or even make their lives harder. There is so much for you guys to discover and play with and this is why its scored at number seven. 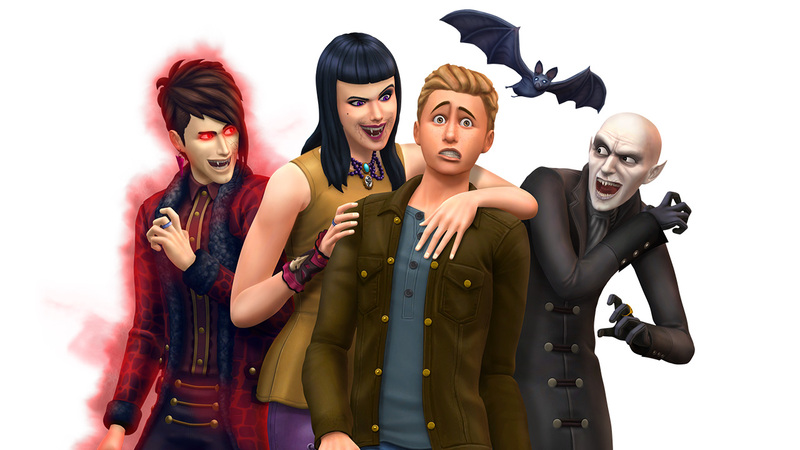 At number six we have my favorite Game Pack “The Sims 4 Vampires”. From being able to create your own unique vampires with dark forms all the way to discovering the mysterious world of Forgotten Hollow, this pack has so much to offer for storytellers and Build and Buy mode players. The brand new power system is what makes this pack unique since it offers players to make all kinds of vampires from powerful vampires all the way to weak vampires to even vampires that can turn into bats or vampires with thin skin that can die straight away from entering the sun. This pack is a must-have for your games if you are supernatural players. At number five we have “The Sims 4 Toddler Stuff”. This pack is at number five because it offers more gameplay objects for your toddler Sims and it also has cute Create A Sim items for your toddler Sims. The pack also has a new event for your Sims to throw and also really fun and cute Build & Buy mode objects for build and buy mode lovers to try out. At number 4 we have another great Stuff Pack, but this time its aimed for all your child Sims. 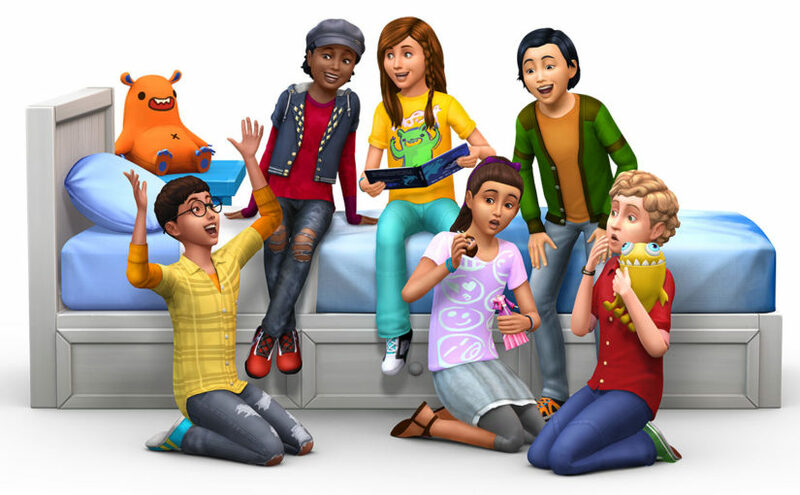 This Sims 4 Kids Room Stuff is higher than Toddler Stuff because the gameplay objects for this pack are amazing and not to mention your child Sims can collect really fun Voidcritters cards and then battle another child Sims with their Voidcritters cards on the Voidcritter Battle Station or your child sims can put on a show with the Puppet Theater. The pack also offers really cute Create A Sim items and Build & Buy Mode objects to personalize your child Sims even more. At number three we have “The Sims 4 Parenthood”. With this pack, you can shape your Sims childhood by grounding your moody offsprings, making them volunteer or even by making them do chores around the house. The pack also offers a lot of cool gameplay objects like school projects that can benefit your Sims grades and the bulletin board in which you can set curfews and ground your child/teen Sims if they keep being naughty. There are also three new systems that are added to this pack which are mood swings, character values that can offer your toddler, child and teen Sims special traits when they grow up to young adults and chance cards that can also benefit your sims character values. 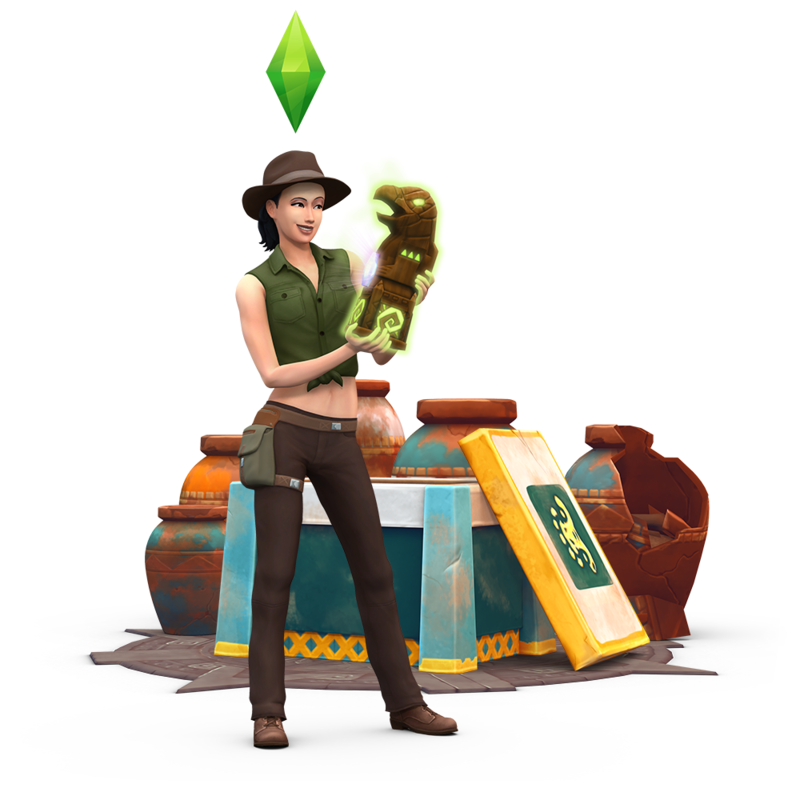 The pack also has new skills and new Create Sim items for you to discover and even cool new Build & Buy mode objects for all you Build & Buy mode lovers. This pack is a must-have for your game. At the number two spot, we have the fantastic “The Sims 4 Cats & Dogs”. 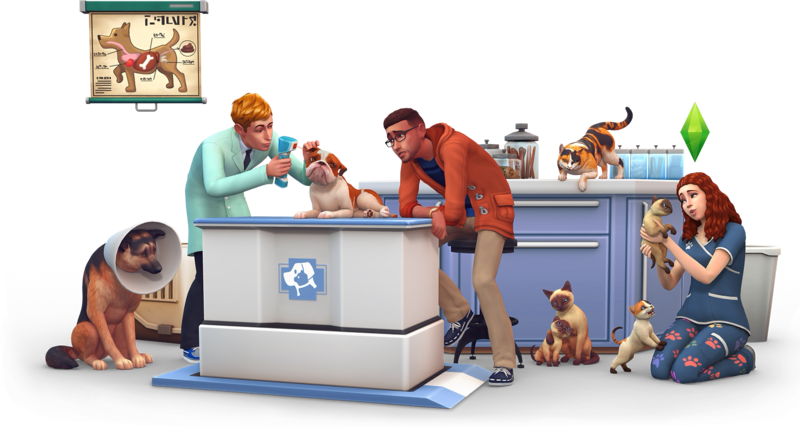 This pack allows Simmers to create pets through the new powerful Create A Pet tool. There is also the new world of Brindleton Bay to discover with your new furry friends. Your Sim pets also have unique personalities for you to find out as you play with Cats & Dogs, their traits also have a factor in how they act and behave. 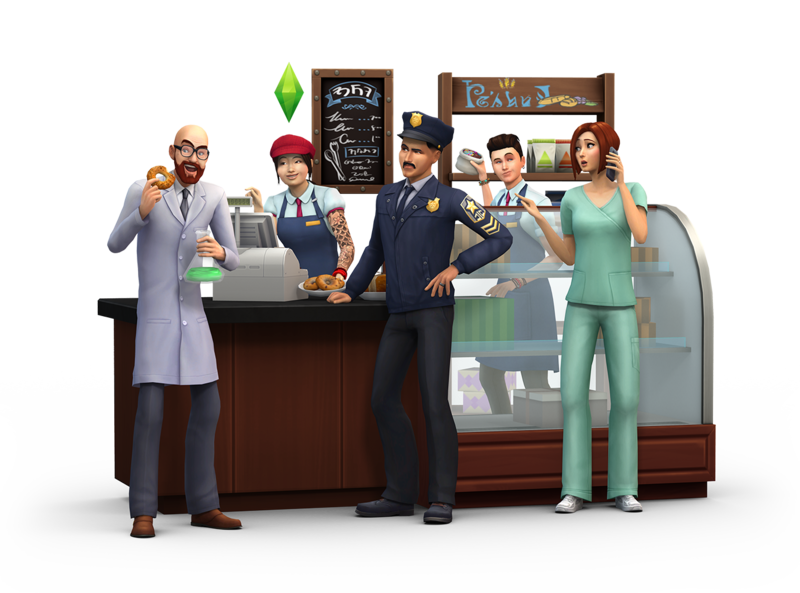 You can also become a vet and run a clinic which is a brand new retail career for your Sims to try out. This new career is extremely fun and you will have a blast with it. The pack also offers cool new Create A Sim and Create A Pet items and also Build & Buy mode for all of you to discover and not only that you can dress your pets in funny and cute outfits. You need this pack in your game or you will be missing out since it adds so much to the game and makes it more fun to play. Before we enter or number one spot here is a few honorable mentions. 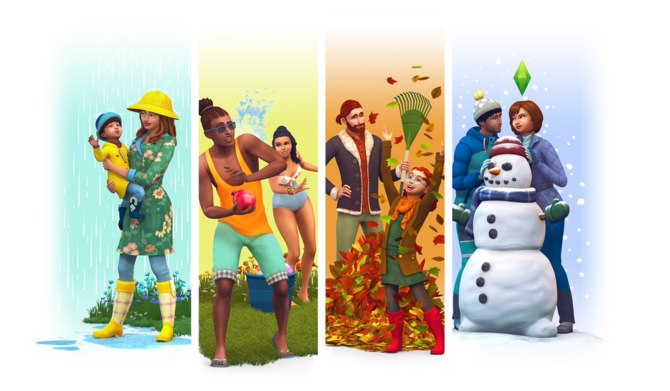 At the number one spot, we have the best pack so far in The Sims 4 which is “The Sims 4 Seasons”. 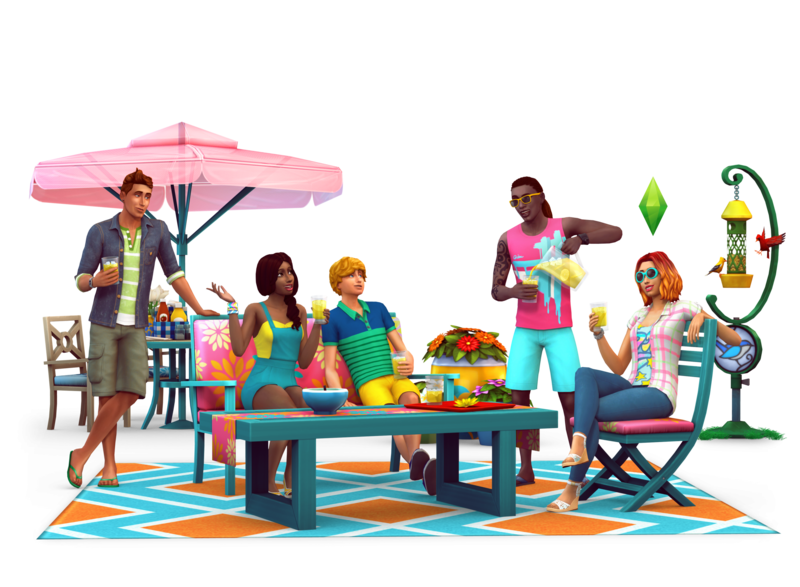 This pack has only just been released and many Simmers are already loving it. The pack offers four new seasons that add impactful weather to your Sims lives that can affect their emotions and relationships and can affect each world and neighborhoods in unique ways. The pack also has new seasonal activities for your Sims to do like building a snowpals. water balloons and snowball fights to even just lounging in a toddler pool all summer. If that does not make you want this pack then the new calendar and holiday system will. The calendar system allows you to see what the weather is like on each day, it also allows you to plan events, create new holidays and more. The holiday system is another fantastic addition to the game since it allows you to create and edit holidays that can spice up your Sims lives and make each season enjoyable. 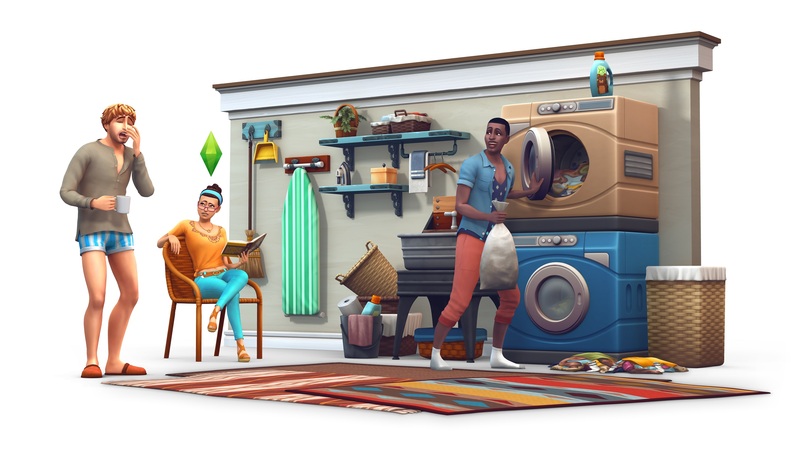 There are also really cool new Create A Sim items and wonderful new Build & Buy Mode items for you to try out. I hope you enjoyed my list of the top ten packs you need in The Sims4. Tell us in the comments below what your favorite pack is and why it is your favorite pack.